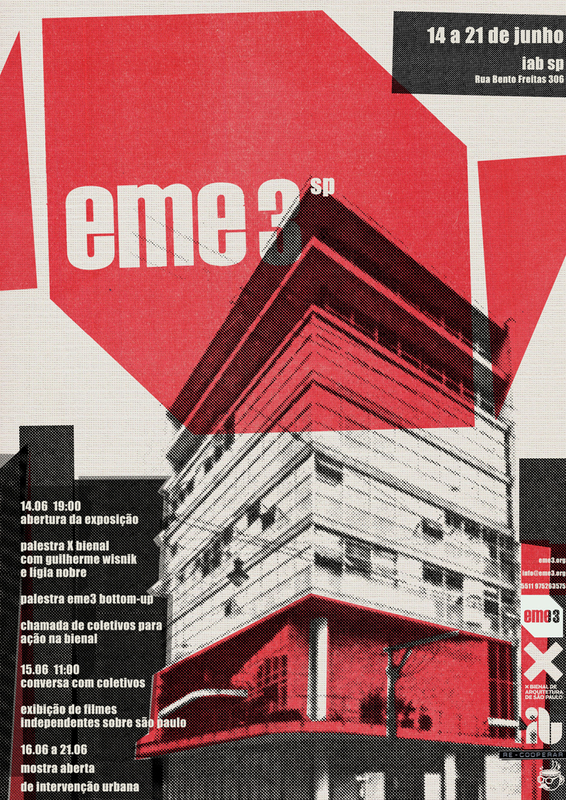 ON day 7th of June, in the Centro Cultural São Paulo (CCSP), you will have the opportunity to meet and interact with various initiatives of urban transformation. The “Festival de Tecnologias Sociales – Como Virar Sua Cidade” wil take place there and several collectives and organization who work on this thematic will meet, creating a collective agenda of socials technologies and articulating opportunities and demands in the cities. 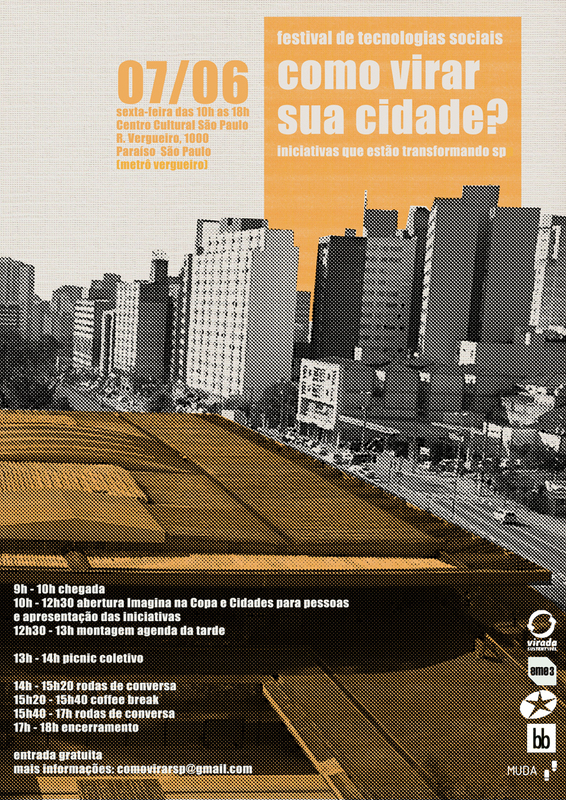 “Como Virar Sua Cidade” will be part of the official program of Virada Sustentável 2013, and will be deivised in 2 parts. In the first one, there will be a general panorama of initiatives, with a brief presentation. In the second one, the groups who participate will interact with foundations, government and cultural equipments. The “Festival de Tecnologias Sociais – Como Virar Sua Cidade” is on day 7th of June from 10h to 18h in the Sala Adoniran Barbosa of the Centro Cultural São Paulo. It is realization by Virada Sustentável, MUDA_coletivo, Basurama Brasil, Eme3 and la Fundação Fenômenos.